Good, rich garden soil is the secret to success when creating above-ground planter beds. Raised-bed gardening is all the rage today in Northern Utah, thanks in large part to the questionable quality of our native soils. But this approach to gardening has several other benefits as well. Unfortunately, even the most well-designed raised beds won’t help your efforts if the dirt, mulch and soil amendments aren’t right. 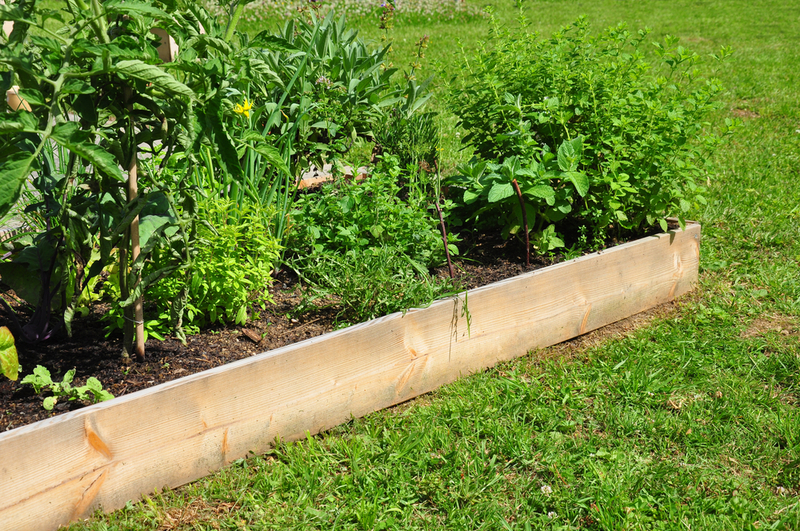 Utah gardeners are enamored of raised-bed gardening, for good reason. When you take your planting beds above ground, you eliminate most of the weeds that plague in-ground beds. You also put your plants out of reach for many predators. And, as a big bonus, you eliminate the need to bend over for planting, harvesting and weeding. But what about the soil? Above-ground planters greatly reduce soil compaction, improving air circulation and reducing the amount water required for growing healthy plants. They effectively eliminate erosion and root rot. And, because the soil is elevated above grade level, the dirt stays warmer, allowing you to plant earlier and harvest later than with traditional gardening. You have an infinite number of options for constructing your raised-bed planters. A quick internet search will provide hundreds of DIY project instructions. Or, if building your own beds doesn’t interest you, you can purchase kits or ready-made raised beds. Once your elevated planting beds are built, it’s time for that all-important garden soil delivery. To determine exactly how much good dirt you need, use our simple and accurate garden soil calculator. Be sure to purchase a soil that has been formulated locally, especially for the climate and growing zone of our area. A high-quality planting soil is the basis for success in your raised beds, but you need a few more important elements to grow the large, healthy plants your raised beds are worthy of. Soil conditioner, mulch and compost will all help you grow the lushest plants, the brightest flowers and the healthiest, high-yield fruits and vegetables. To assist you in this endeavor, The Dirt Bag has created an ideal garden soil blend. Our Garden Soil Plus is formulated specifically for the unique Northern Utah growing conditions. With no added chemicals or fertilizers, it’s dark, rich and 100 percent organic. And we deliver it right to your door, along with several type of mulch and our special blend of compost. For your other landscaping needs, you can choose from dozens of types of gravel, play sand and topsoil. Contact The Dirt Bag today to schedule your delivery of the finest Utah garden soil available today.